After a few issues with the dealer Helen picked up her new bike today. 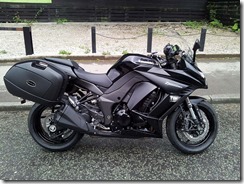 A brand new Kawasaki Z1000SX Tourer in black. She got the bike from Robinsons of Rochdale, but did have a few issues with them. Initially they order the 2012 black which is actually a black/silver colour which she didn’t like. The 2013 model which she has eventually got is actually black and matt black (where the silver was). 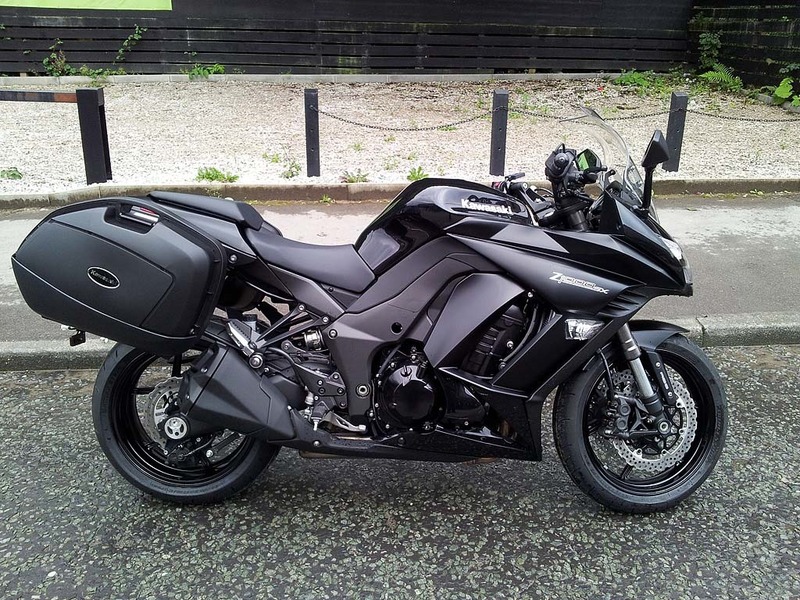 Due to them initially getting the wrong bike and her wanting it for our forthcoming mini Lake District tour, they had to supply the panniers without the colour coded panels as they could only get green luggage at short notice. They had also forgotten to fit the R&G crash bungs as well. Not a great first impression but it was a very good deal and she only works round the corner from them. So it is very easy for her to go in and complain in person if required. But although they have made some mistakes they have fixed every one of them so far. Wow, what a beauty! What is the riding position like?